Wall Street investors drool over high-dividend stocks. But sometimes they are traps, especially when the dividend percentage is double digits. Then it becomes a situation where management has to back it up with good news. Century Link (NYSE:CTL) is one of those situations where the stock pays a magnificent dividend rate, yet the stock chart is in shambles. It is down 5% this year so far. Every spike immediately reverses, so the trend is down and has been so for years. The only reason to own the stock is the dividend. This is too much of a risk for me to own the shares outright. But before you send me hate mail, keep in mind that this is nothing against the company; it just doesn’t fit my personal requirements to own it. There is logic to this decision, so read on. The problem is that the more the stock falls, the more of a magnet the dividend becomes. Collecting 15% in yield just for owning a stock is too enticing for too many people. Yet this alone cannot stop the stock slide. It’s a loop from which CTL has not been able to break. CTL stock reports earnings this week, so management will have the chance to deliver some good news. However, even then I would not be a buyer here because my method requires me to see a clear base develop in Century Link stock before I go long. 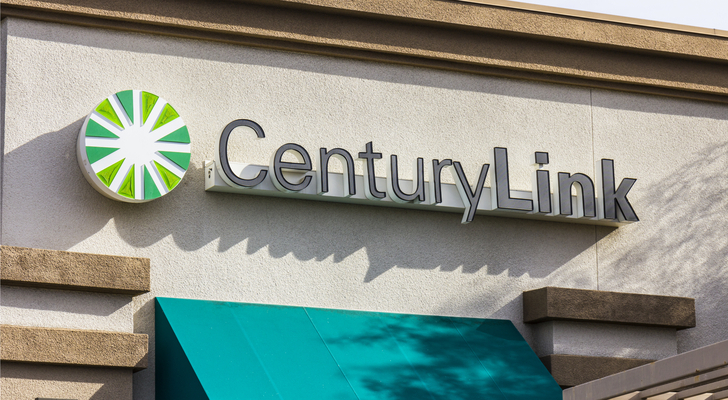 In this case, Centurylink has higher lows developing off last week’s $13.88 bottom. This is an encouraging short-term trend. But we also have a lower-highs trend from the Feb. 1 high of $15.57. The end result is a very tight descending wedge. Those tend to break out in force, and therein lies the opportunity. If it manages to spike on earnings, then I look for the same ledges from which it fell to be potential resistance zones. For example $14.50 would be one place where bears might put up a fight. $15 per share is the next one above that. $15.50 is the biggest one thereafter. But Can We Count on CTL Stock? Unfortunately, the direction of the breakout can be in either up or down. Just look at almost exactly a similar technical setup on Jan. 23. The end result was a drop from $15.22 to $14.25. So it’s not guaranteed that the move will be up. Onus is on management to give the market reason to buy it. So in summary, owning CTL for the dividends is a risky proposition. Usually situations where the payout percentage is this high don’t last. Either the company will cut them or the stock has to rally a lot. What will happen here is an unknown that is too scary for me to own. I don’t have an edge, so I don’t buy. It is better played using options, where one can risk a few bucks buying calls or spreads and hope for the best. There the loss would be a finite amount with no long-term commitment. Click here for a bonus video that I recently shared discussing FireEye (NASDAQ:FEYE) that could help with the concepts discussed here.